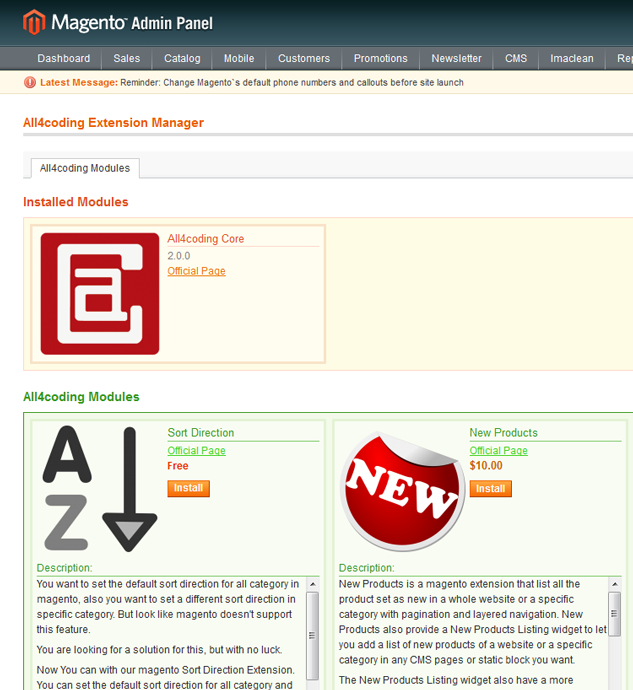 To make your life simpler we provide All4coding Core, with it you will install and update all our Magento extensions and design themes with one click in your admin area. Download the All4coding Core and save it locally. Unpack the archive to the root of your website. Go to admin area of your website, select System > Cache Management. 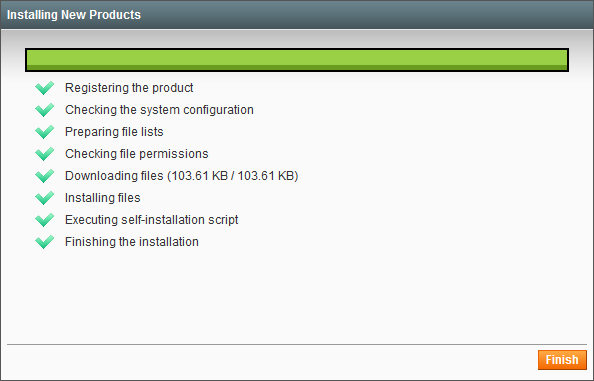 And clear the configuration cache to install the extension. The Manager has two pages for management to be more convenient – All4coding Modules and All4coding Themes. By defaults Modules’ page is selected. All4coding Themes is not available at the moment. But will be available soon. The extensions are grouped there – first you will see the extensions that are installed already, then there will go the extensions available from All4coding that you have not installed yet. 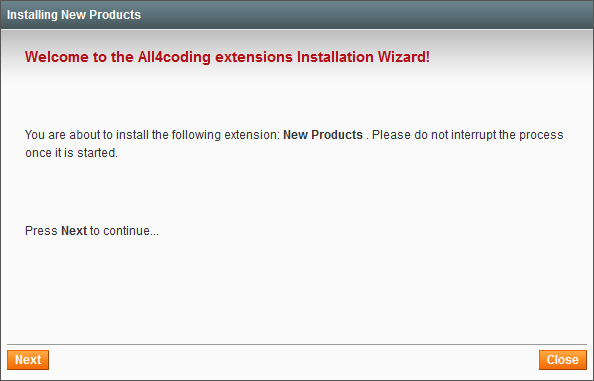 Click the Install button of the extension you want to install, an installation wizard will popup. And then click Next button to continue. If the extension require license then the below form will show. Please insert the serial into the above form and click Next. You can obtain the license key in the office page link. Serial: this is the serial number of the license key. License Per Instance: Select “No” if license key is per website or register for test site. 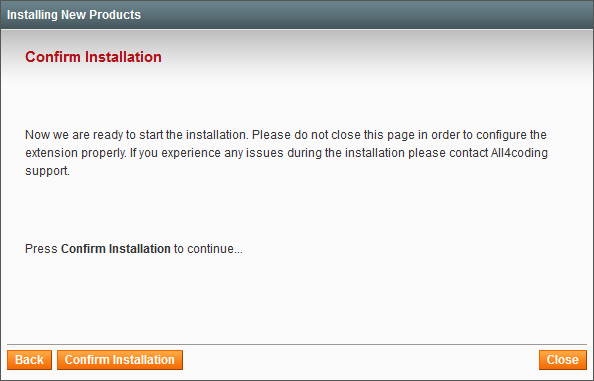 Click Confirm Installation in the next step, the installation process will start. After you finished install the extension you need to log out and log back in to make the new installed extension work correctly. 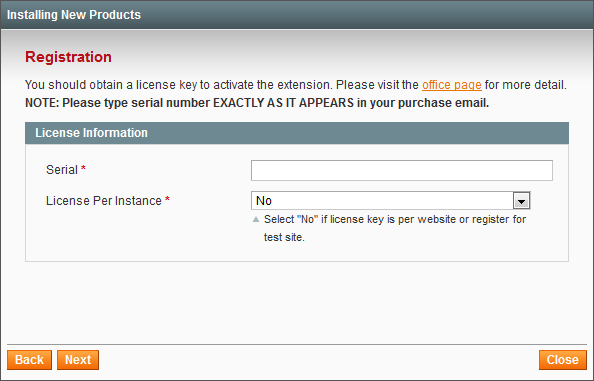 Click the Keys button at the extension you want to modify the license key. A License key Manager page will popup. You can delete the license of the website that have license at Manage Licenses Section. 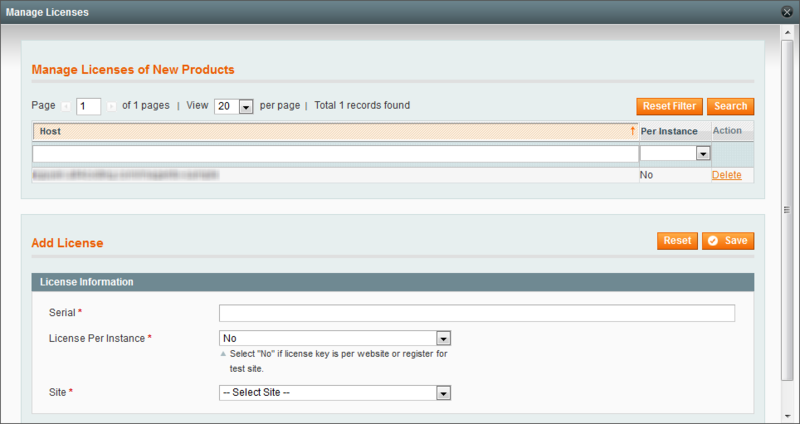 And you can add more license Key for other site at Add License Section. Note: In order to make the extension work correctly. License key for backend site is required. Click the Uninstall button of the extension you want to uninstall, an un-installation wizard will popup. And then click Next button to continue. 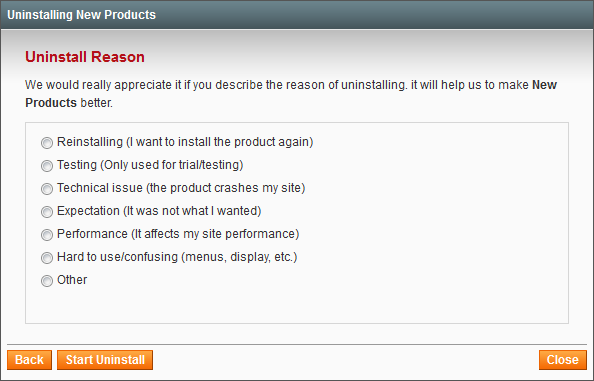 Let us know the reason why you uninstall one of our extension so that we can make it better. 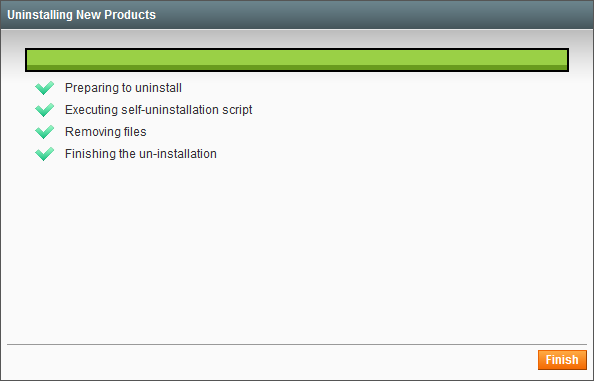 Click Start Uninstall, the un-installation process will start. Click Finish to finish the un-installation.